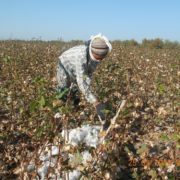 Reports coming to our editorial office say that “although the head of the government of Uzbekistan, Abdulla Aripov, banned the involvement of teachers, students and medical staff in the cotton harvest campaign on a regular basis, various methods are being used to involve them in the cotton picking process”. 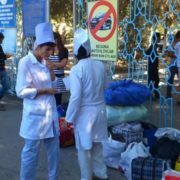 A correspondent of the Kun.uz website went to the Buka and Bekabad districts of the Tashkent Region on 5 November to investigate some of the reports. 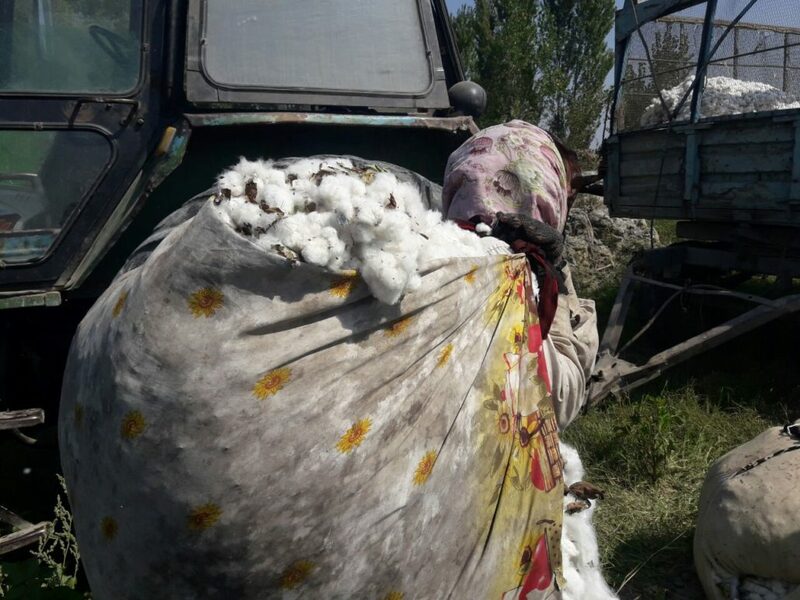 It became clear that the staff of the Olmaliq town health directorate, who had come to the cotton fields on their day off, were just about to begin picking cotton in an area close to Buka. «We are mobilizing the medical workers for a one-day campaign to pick cotton. All of them are here of their own free will, voluntarily. During the day, we will be presenting them with motivational gifts based on how much cotton they pick. 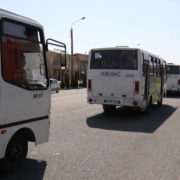 For example, we distributed cotton-seed oil and, as a result, more people have come this week», says one of the heads of the Olmaliq town health directorate, who did not want to give his name. According to him, joining the public campaign on Sundays is done voluntarily. 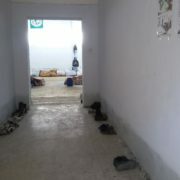 However, the correspondent became suspicious when he saw one of the members of staff of the health directorate asking permission from one of the heads of the directorate, who had been appointed as “a boss” to supervise 370 people, to go home “because he had left two of his children at home”. 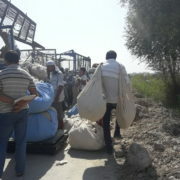 It became clear that teachers from schools and colleges from the regions of the Fergana Valley, particularly from various districts of the Andijan Region, have been picking cotton in departments 1,2,3,4 and 5 of the Dalvarzin area located in the village of Zafar in the Bekabad District. «I have left newspapers for our students. They might be solving crossword puzzles», says a cotton-picker jokingly, who works as a teacher in one of the colleges in the Oltinkol District of the Andijan Region. He says that many people have run away. «There is almost no cotton. 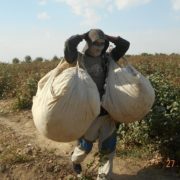 If there is cotton and if the local residents are paid in a timely manner, we would pick it ourselves», says one of the residents of the Dalvarzin-3 area. Representatives of the local population confirm that the teachers who have come from the Fergana Valley, have been accommodated in the houses of local people in the village. 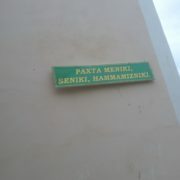 The deputy heads of the Izboskan and Buloqboshi districts of the Andijan Region for women’s issues are also in the Tashkent Region to supervise teachers of schools who came from these two districts to the Tashkent Region.